I’ve been sick for the last couple of weeks and it has finally caught up with me so the computer had to be put away for a few days. Despite my lack of sharing of the great tutorials linked up to the last Sew-spiration Link Party we still had votes. Yay! The featured tutorial from the Sew-spiration Link Party #8 is this tutorial for how to make a felt pencil case from Damjana at Apple Green Cottage. A perfect tutorial for budding sewers. I’d even love one of these for my school pens and highlighters as it’s the perfect size for carrying the essentials. Thank you again to all who linked up and to those who voted as well! 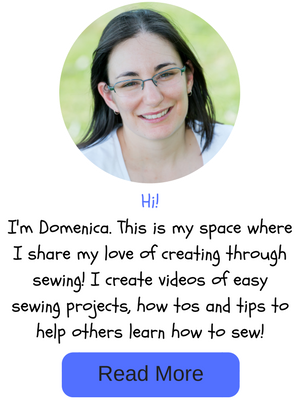 I’ve decided not to run the Sew-spiration Link Party for this week to give me a chance to catch up with everything, but it will be back again on Monday next week! p.s. 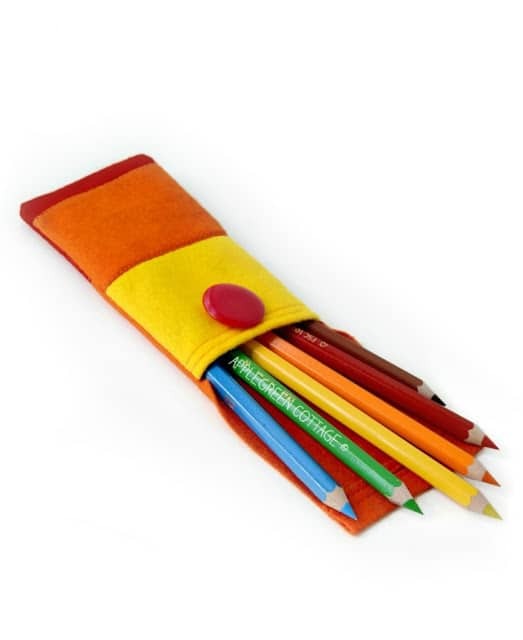 I just love these wonderful colors on Damjana’s pencil pouch! So easy and colorful!